He is my newcomer character, possible fursona. 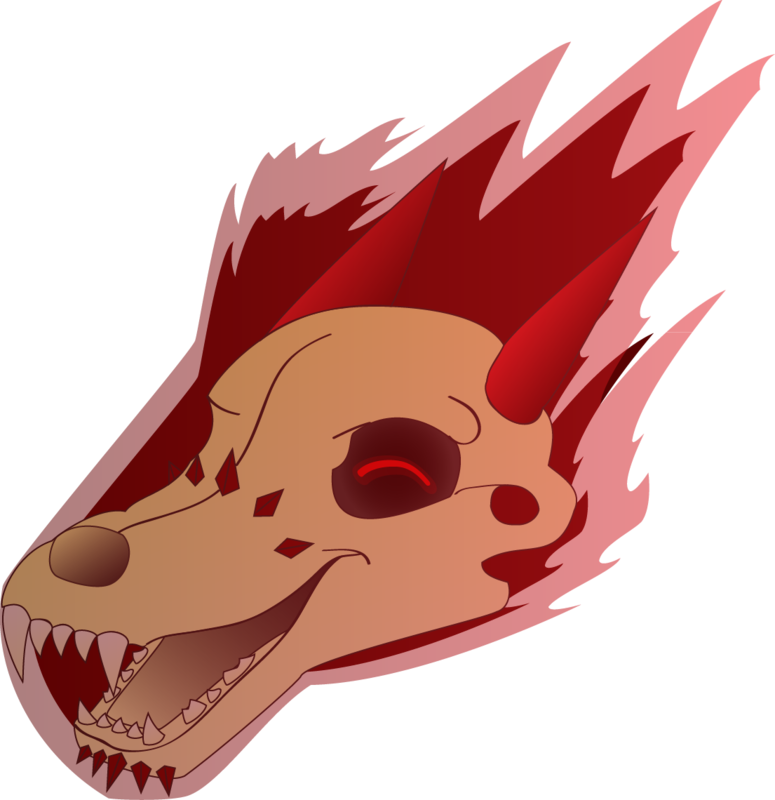 Crimson is flying flaming wolf skull who always being happy, cheer up and misfit. Why is all of his fire, eyes red? Because he is Crimson! He has 12 crimson crystal around top of his muzzle and on his chin. He might look useless but he can do more than you can imagine!